The installation design for “Àlvaro Siza. Viagem sem Programa” by Dumbo Design Studio at FAB Architectural Bureau Castellarano, the showroom and gallery of the Iris Ceramica Group’s Fiandre Architectural Surfaces brand, has been selected for the ADI Design Index, Italy’s top design award. The ADI Design Index 2018 was presented on October 15 in Leonardo da Vinci Museum of Science and Technology in Milan. The annual publication of ADI Associazione per il Disegno Industriale, Italy’s industrial design association, presents a selection of the best Italian-designed products and product systems and the best theoretical and critical research, process or enterprise applied to design. 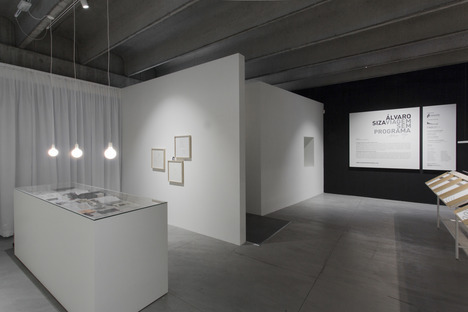 The design of the exhibition installation for “Àlvaro Siza. Viagem sem Programa” created by Dumbo Design Studio for FAB Architectural Bureau Castellarano, the exhibition gallery operated by the Iris Ceramica Group’s Fiandre Architectural Surfaces brand, was selected to appear in the Exhibition Design category of this important publication, a landmark in Italian design. So said Raul Betti, who founded Dumbo Design Studio with Greta Ruffino and co-authored the project, on the day after the presentation of the ADI Design Index in Milan. Between June 8 and July 7, 2017 FAB Fiandre Architectural Bureau Castellarano, a multipurpose facility and exhibition space run by the Iris Ceramica Group brand Fiandre Architectural Surfaces, presented the exhibition “Alvaro Siza. 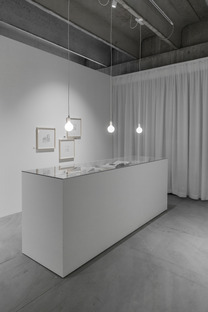 Viagem Sem Programa”, presenting the intimate and lesser-known side of Portuguese architect Alvaro Siza in 53 drawings and portraits displayed on Fiandre Architectural Surface porcelain surfaces. Exhibition curators Greta Ruffino and Raul Betti first presented the show during the 13th Architecture Exhibition at the Biennale in Venice before taking it all over Europe. The exhibition went to FAB Architectural Bureau with the organisational support of Floornature editors Paolo Schianchi and Mara Corradi and a site-specific exhibition design by Dumbo Design Studio. 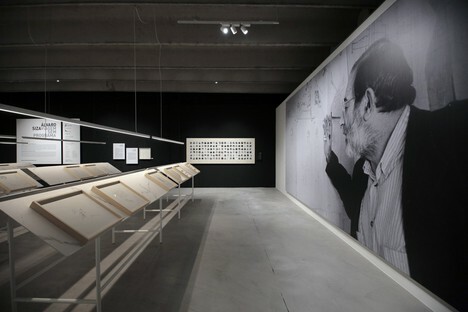 The body of works on display included drawings selected by Siza himself from his notebooks, accompanied by writings, photographic material and a video of an interview conducted in Portugal in which the architect talks about the intense relationship with drawing that he has had since childhood. The installation curated by Dumbo Design Studio, visible in the presentation video made for the ADI Design Index, transformed a space with an industrial heart into an attractive, intimate space using light and ceramic surfaces by Fiandre Architectural Surface to show off the items on display. The ADI Design Index selection is conducted once a year by the ADI Permanent Design Observatory, composed of more than 100 design experts (researchers, specialised journalists and designers) who work in Italy. The 172 products selected for publication in the ADI Design Index out of 746 candidates are presented in two events held in Milan and Rome. 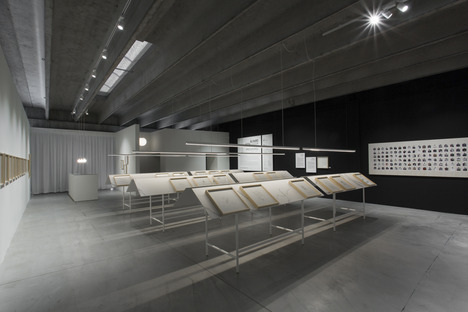 The presentation of the publication coincides with the inauguration of an exhibition about the selected products, with installation design by Gianluigi Landoni. All the selected works compete for the ADI Design Index Prize for Innovation and constitute the pre-selection for the ADI Compasso d’Oro, Italy’s most prestigious design award. The Milanese exhibition closed on October 21, while the second exhibition, in the Acquario Romano in Rome, opens on November 20. Photographs of the ADI Design Index exhibition at Leonardo da Vinci National Museum of Science and Technology in Milan: Raul Betti, Roberto De Riccardis.